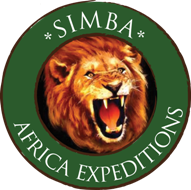 Simba Africa Expeditions Ltd is an indigenous owned and run tour Operator based in Kampala, Uganda offering authentic and exacting African Safaris in Uganda and Rwanda. We are also able to extend into other destinations of East Africa, including Tanzania and Kenya through our highly trusted partnerships we have established there. We can also tailor itineraries that are specific to a traveler’s interests, Budget and timeline, catering from individuals, couples, families and large groups.